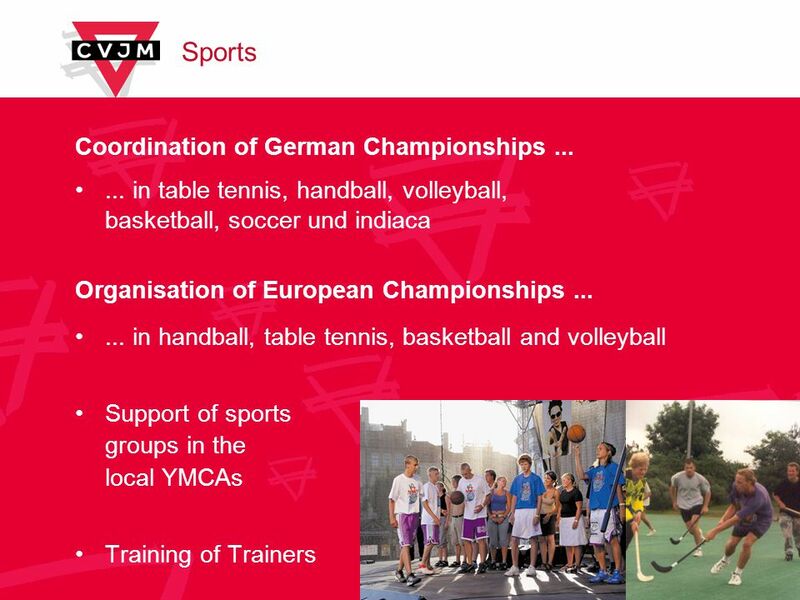 YMCA in Germany. 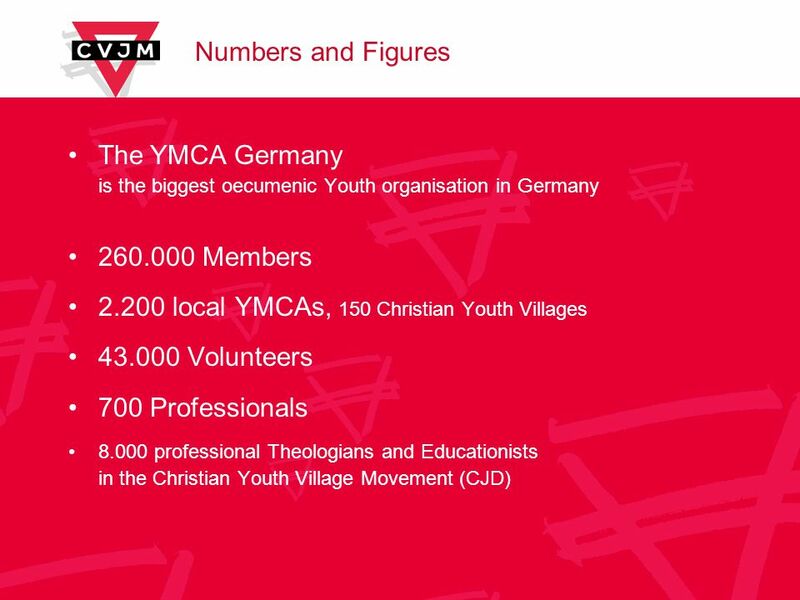 Numbers and Figures The YMCA Germany is the biggest oecumenic Youth organisation in Germany 260.000 Members 2.200 local YMCAs, 150 Christian. 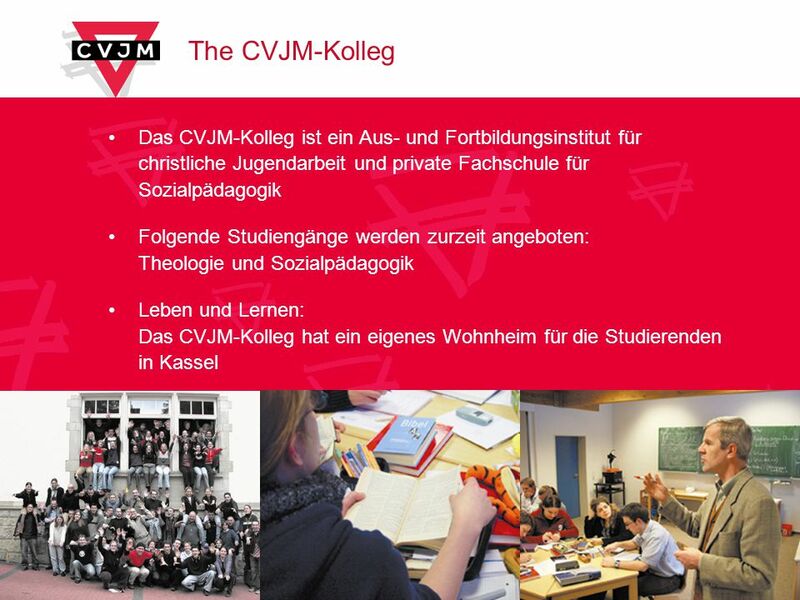 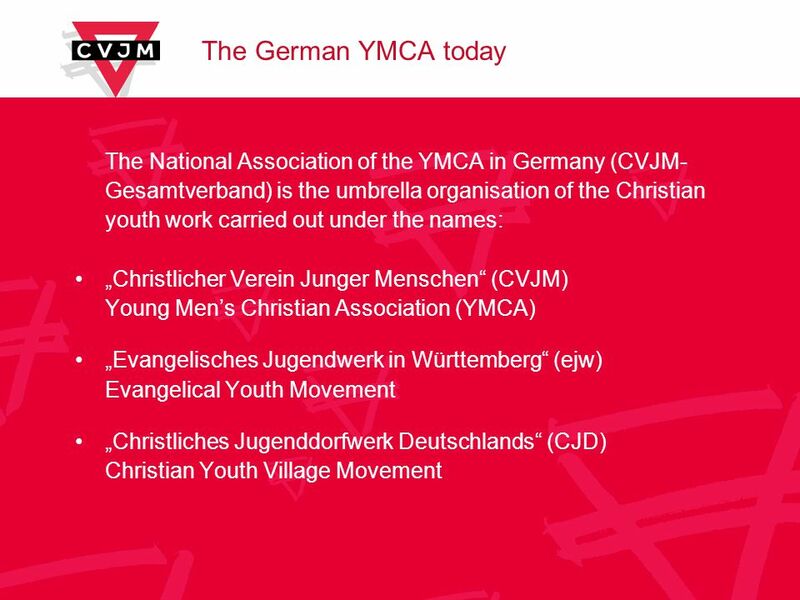 4 History of the German YMCA 1823: The roots of the German YMCA reach back to the foundation of an association of young men for the purpose of missionary work in Barmen-Gemarke in the Ruhr Area by the 16 years old F. W. Isenberg. 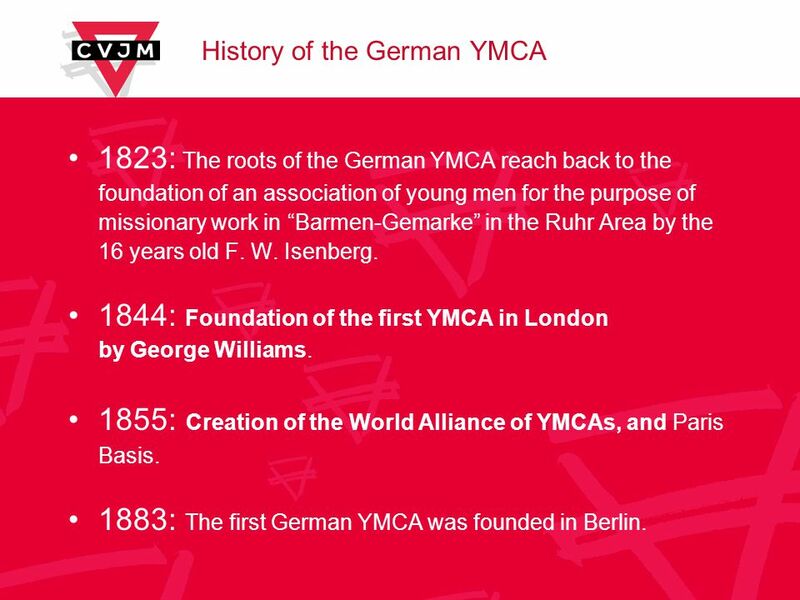 1844: Foundation of the first YMCA in London by George Williams. 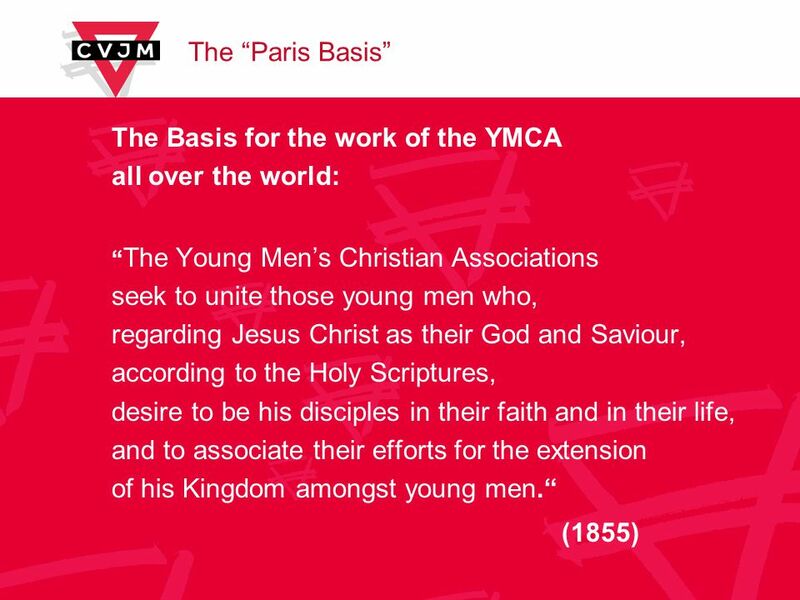 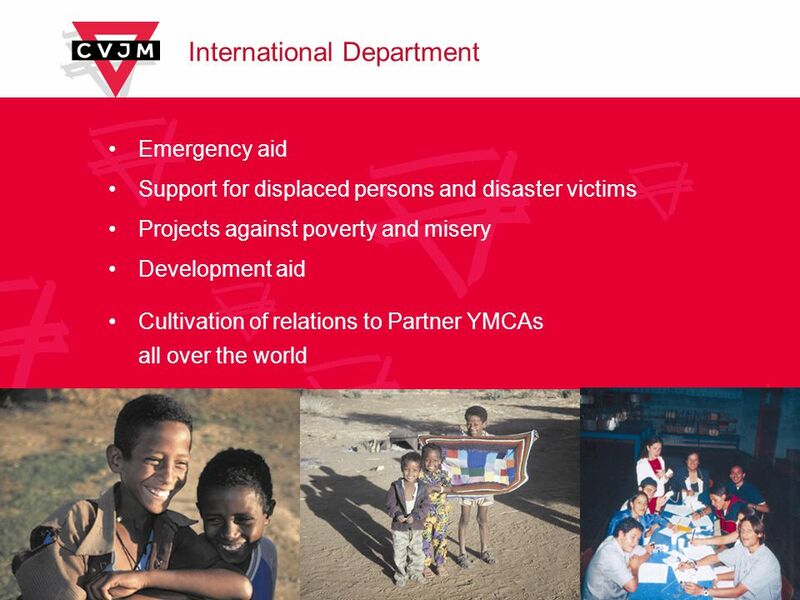 1855: Creation of the World Alliance of YMCAs, and Paris Basis. 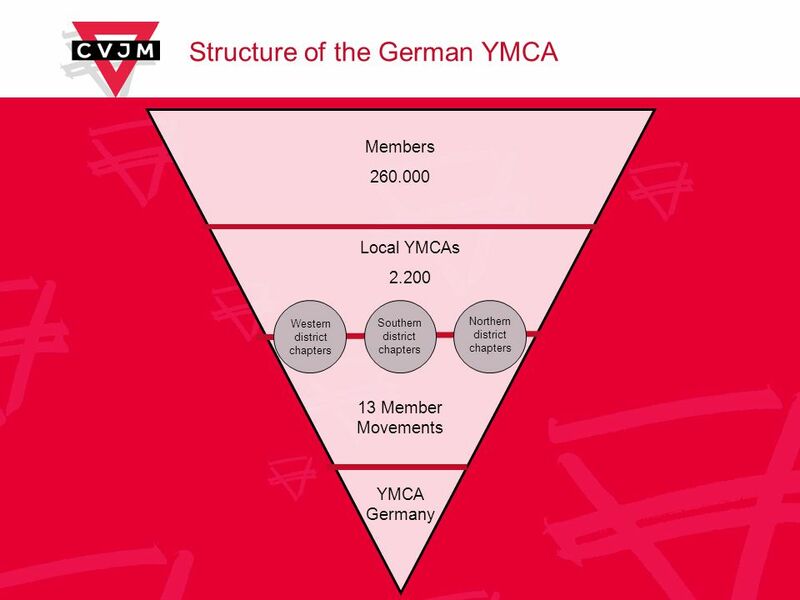 1883: The first German YMCA was founded in Berlin. 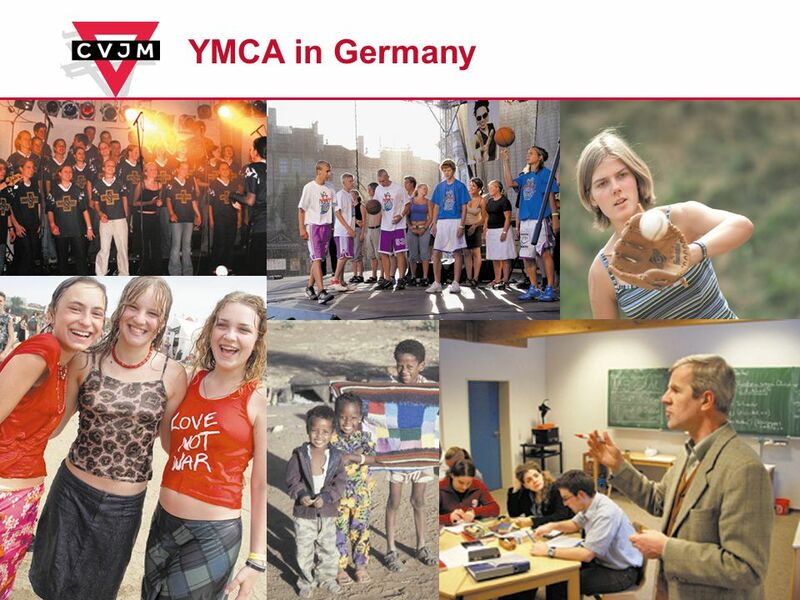 Herunterladen ppt "YMCA in Germany. 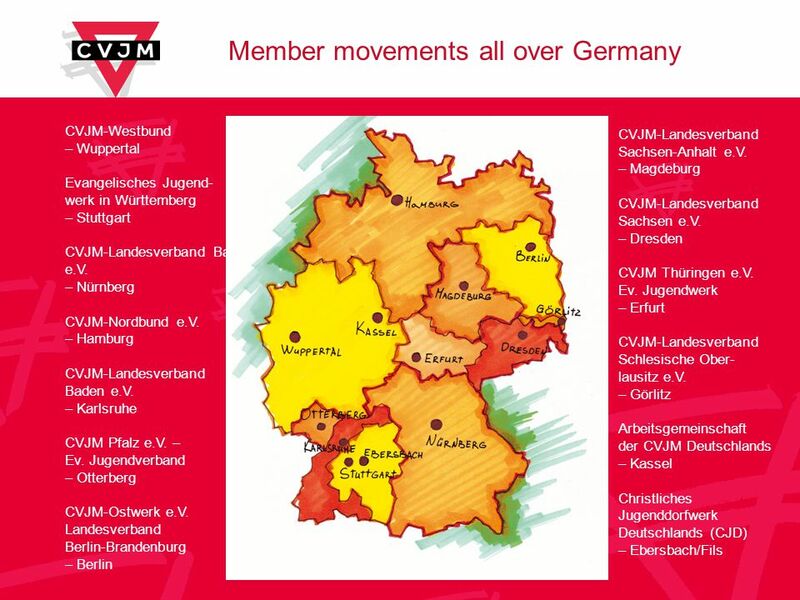 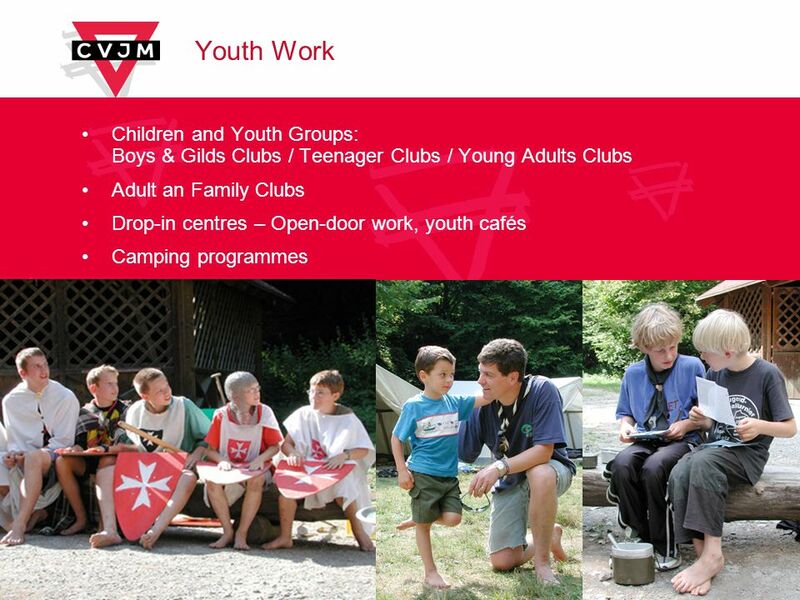 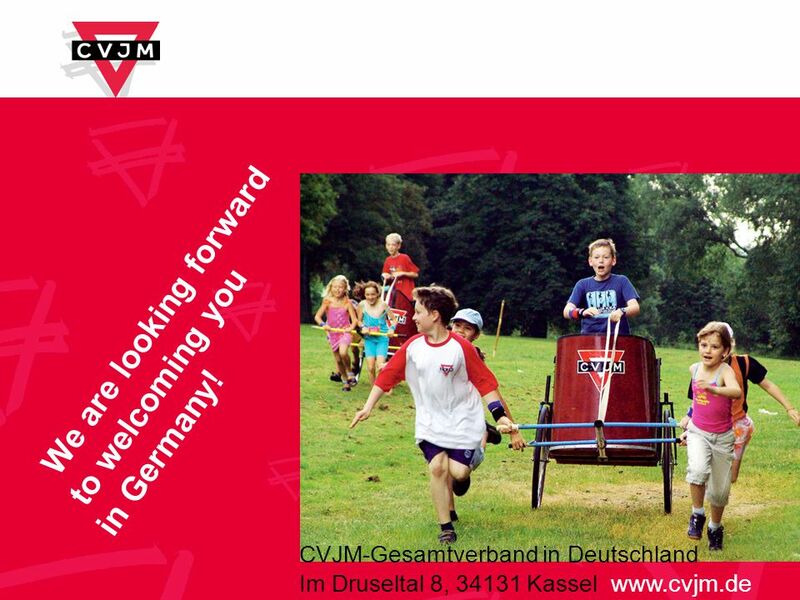 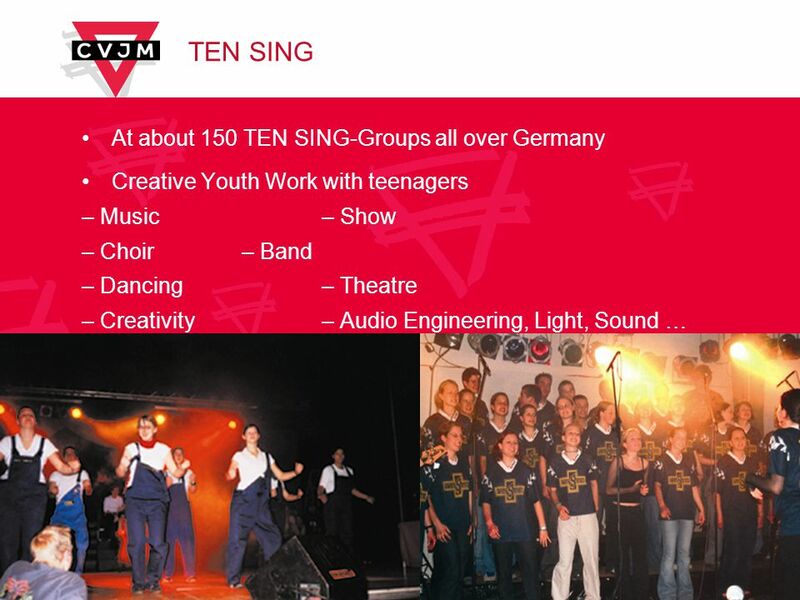 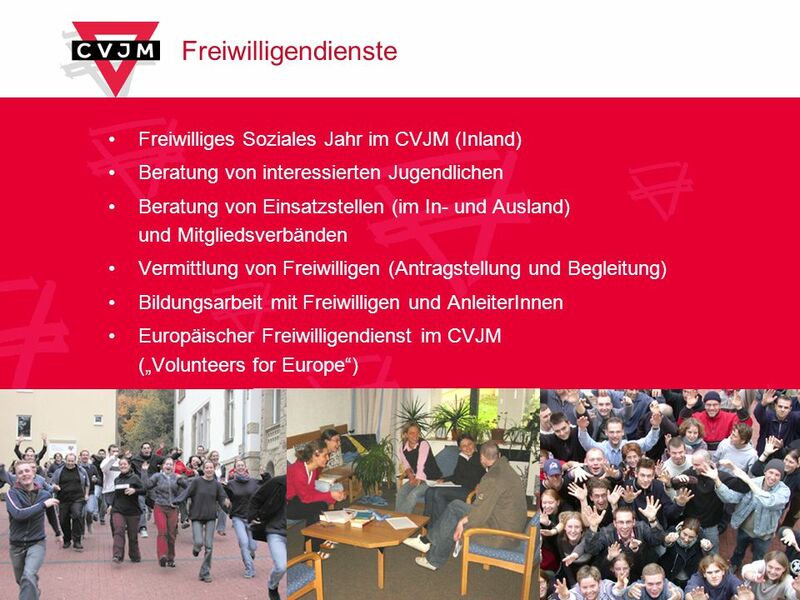 Numbers and Figures The YMCA Germany is the biggest oecumenic Youth organisation in Germany 260.000 Members 2.200 local YMCAs, 150 Christian."